Although both delirium and dementia exhibit similar symptoms, the two are distinct conditions which require different forms of treatment and understanding. Although delirium and dementia do feature very similar symptoms, the two conditions are distinct, and each requires a different approach to treatment and understanding. The terms are sometimes used interchangeably, but it's important to know which one is present in order to provide the patient with the most effective treatment. Delirium and dementia are tightly related, though distinct, and often the two terms are confused in common usage. 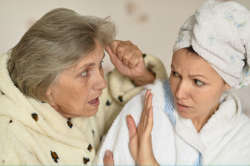 In fact, dementia is often a root cause in the manifestation of delirium, along with other contributing causes like electrolyte disorders; severe infections of the lungs, liver, heart, kidney or brain, prescription drug use and an unfamiliar environment. There are no clear diagnostic tests to verify the presence of delirium, so acknowledgment relies solely on clinical observations. Before a patient is diagnosed with dementia, delirium must be ruled out as the condition. Delirium is a neuropsychiatric condition that occurs acutely, rather than chronically, sometimes for only hours at a time. 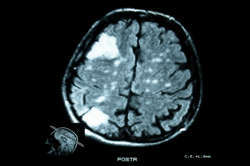 Whereas dementia is almost always irreversible, and features a steady cognitive decline as the condition progresses, delirium is not a chronic impairment, and its acute manifestations can be effectively controlled. Delirium is also unique for its severe disorganized thought. This usually leads to a period of inattention or distraction, making the individual unable to focus on tasks. While dementia also features a poor level of focus and concentration, the difference is that delirium's lack of focus stems from rapidly processed thoughts, rather than the stifled ability to conduct thought. 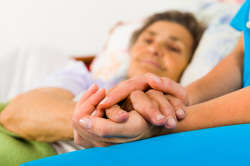 It is estimated that more than half of all cases of delirium are missed, mistaken for unrelated conditions, or eclipsed by the presence of dementia (in other words, dementia patients may develop delirium, but caregivers think the worsening in their symptoms is related to the typical progression of dementia). If not acknowledged, a patient could be thought to solely have dementia, and be denied valuable treatment options that could improve the condition. 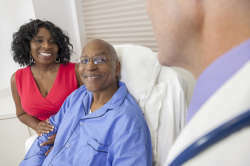 Much like dementia, delirium can be effectively managed through both pharmaceutical means and behavioral and cognitive techniques. However, since delirium can sometimes be affected by the intake of too many prescription drugs, it is crucial that types and dosages be heavily monitored. 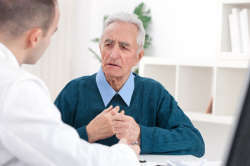 If delirium is mistaken for dementia, a patient may be prescribed more medication that can make the onset of delirium more frequent and more intense. Other effective treatments for delirium include familiarizing an environment and establishing quietness as much as possible. 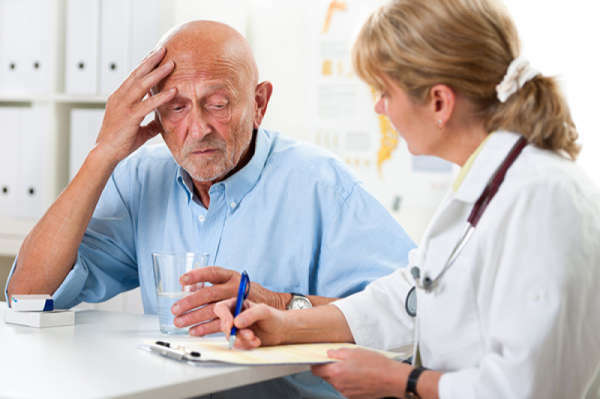 While orientation is sometimes used in patients with dementia, delirium features these treatments as a higher priority, and these options can be overlooked if a patient is not accurately diagnosed. Dementia and delirium are very similar, but delirium is an acute condition that can be aggravated by an overuse of prescription medication. By closely observing the exact symptoms, you can differentiate between the two conditions and see that accurate treatment is administered.